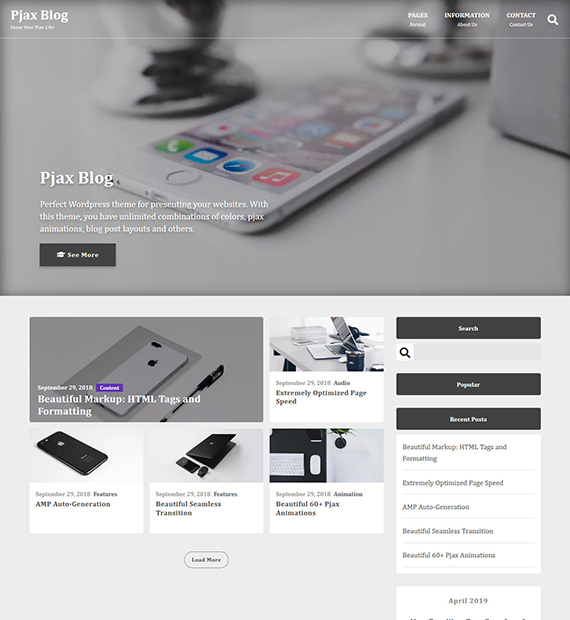 Pjax Blog is a super flexible and super fast multipurpose WordPress theme. This theme has unique page transitions by Pjax to bring rich experience to users on your website. It is also focusing on the internal SEO to get your website a good rank in search results. You can decorate most components with colors and layouts. Make your professional website for free.